Share on Twitter The staff and dentist were great. They explained everything and helped calm my nerves. I felt no pain whatsoever during the procedure. They even called to check up on me the next day. Top notch service!! As always everyone was wonderful. I cannot imagine going to another dentist or hygienist to take care of my or my family's dental health. The assistants and hygienists are all very easy to get along with, welcoming and sensitive to the patient’s individualized needs. Dr Roach is very kind and very thorough. Clean facility, super friendly staff. 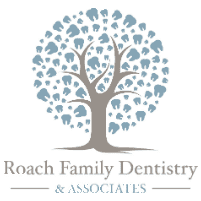 You are treated like family when you are at Roach Dentistry. Highly recommend! I love Dr. Zhang the best dentist I ever had. They were all so friendly and made every effort to make you as comfortable as possible! I was very impressed. The preservation of antique objects is an admirable goal. My 1968 braces and night guard thank you for honoring their legacy! Very friendly and professional staff. I don’t dread going to this dentist office. Cleaning and regular checkup yesterday. Everything was great as usual! Great dental experience. Extremely professional from the moment I arrived. Services received exceeded my expectations. Dr. Riggs professionalism and skills were amazing. I highly recommend anyone seeking a dentist to ask for Dr. Riggs at Roach Dentistry. I was greeted by a very friendly receptionist, prepped by a precious dental assistant, and treated by a top notch dentist, Dr Harrison Riggs. I never felt pain, and felt I was given amazing dental care. Great staff, very clean, very personable, welcoming, and comforting! Love it here! Share on Twitter Such an awesome experience! The staff was so curteous and knowledgeable. I went in for a 2nd opinion evaluation. The prices are exceedingly better that my current dentist of almost 20 years for the same work and are just as exceptional. Thank you Dr. Roach!!! Just a great overall experience. Jackie rocks! As always, the team at Roach is amazing!!! First visit and I already LOVE the place!! Everyone greeted and welcomed me as a new patient and the care was top notch!